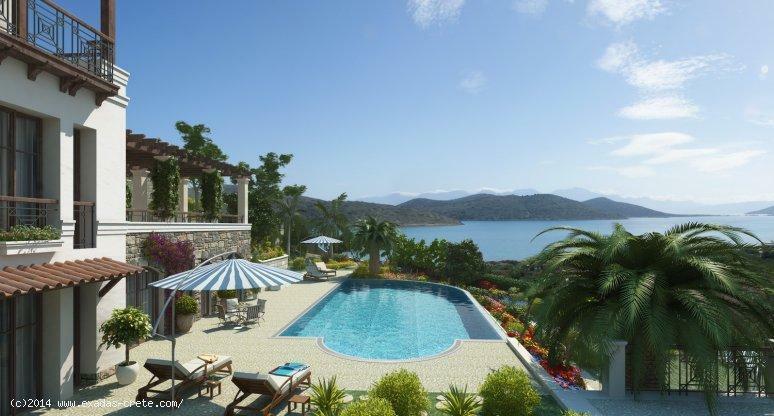 Villa Sofia is built for relaxation. Whether you wish to spend time with your family or to throw a lavish party, there will be plenty of space for everyone. The villa's four bedrooms await their owners, and there is a cozy studio guest house for friends. Everyone can find a favorite spot in the lovely garden. And in the evening after a hot day everyone will find nothing more pleasant than to gather on one of the terraces to enjoy the sunset and breath in the fresh sea air. Features: 2 living rooms, dining hall, kitchen, 4 bedroom with en-suite bathrooms and dressing rooms, guest house, heated swimming pool 13x7m, parking. Notice: The selling price is without finishing of the house interior ! 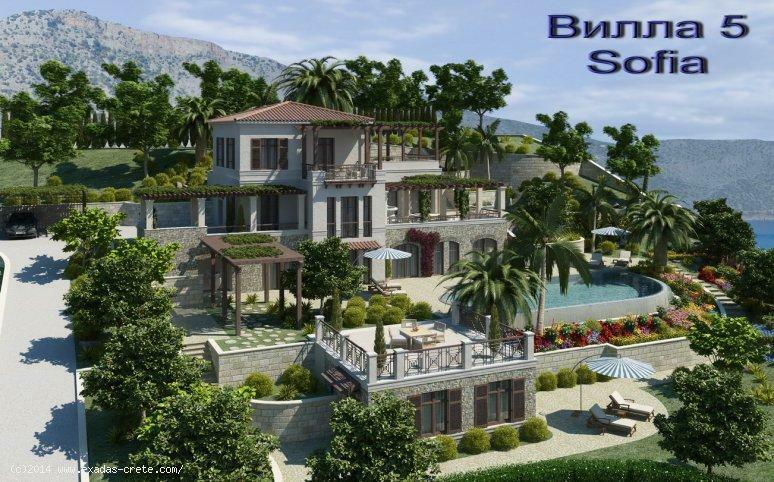 The Sofia villa is located in the resort area on the shore of the Gulf of Mirabello.